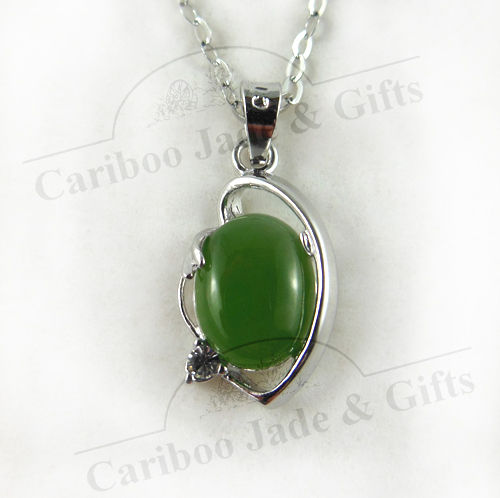 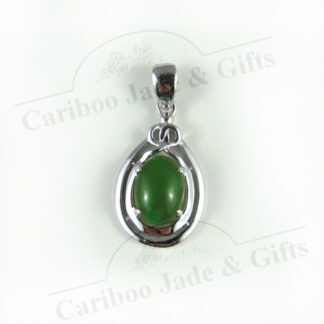 BC jade oval; sterling silver pendant. 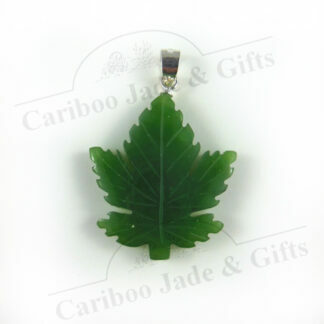 Approximate pendant size 24 x 11mm. 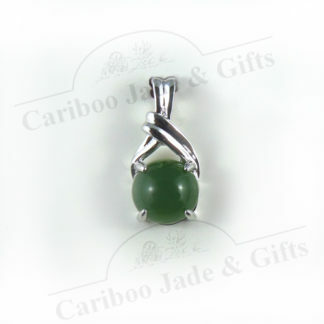 British Columbia jade 8 x 10mm cabochon set in sterling silver ribbon with one faceted cubic zirconia stone along side. 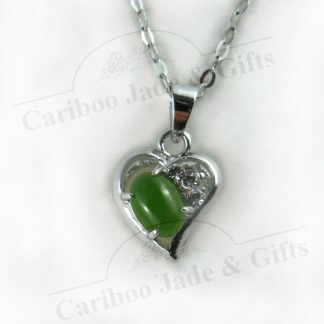 Includes 18″ sterling silver chain. 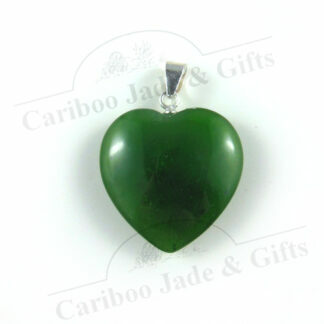 Approximate pendant size 24 x 11mm.